Here is my card for this week's Color Throwdown challenge. Don't you love the color combo? I used an image from the Gina K. Designs Stately Flowers 12 stamp set for my focal image. I added a striped watercolor background instead of coloring in the flowers. I sort of love this technique! I love the color stripes!! 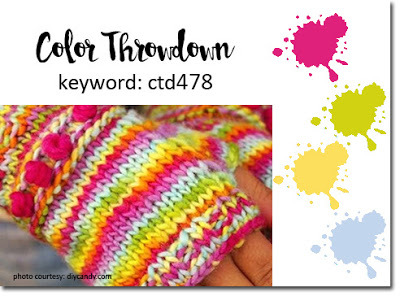 Thank you so much for playing along with us at the Color Throwdown this week!